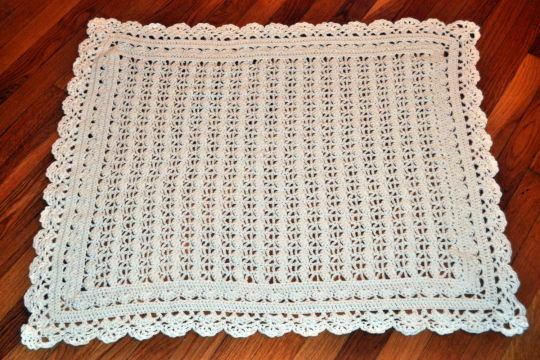 This one is called Heirloom Lace from the book, The Best of Terry Kimbrough Baby Afghans. This one is on the smaller size and works up very quickly. I believe it only uses two 5 ounce skeins.